Gardner Bender Crimp Wire Connectors Are Designed For Strong, Vibration-Resistant, Permanent Connections In Branch Circuit And Fixture Wiring. 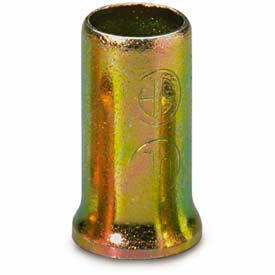 Gardner Bender Crimp Wire Connectors are available in both copper and zinc-plated steel. Choose from two different wire ranges: #14-#8 AWG and #18-#10 AWG. Package quantities range from 8 to 500. Connectors are Canada and U.S.A. UL Listed. 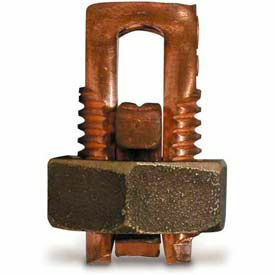 Gardner Bender Copper Split Bolt Connectors Are Designed For Maximum Conductivity. 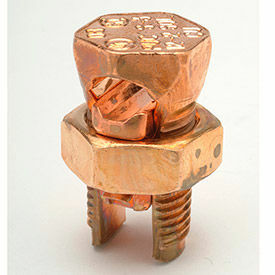 Gardner Bender Copper Split Bolt Connectors are made of copper and have an all-copper alloy construction for high mechanical strength, maximum conductivity and low resistance. They accept a wide range of solid and stranded conductors from 16 AWG to 3/0 AWG and can be torqued with standard wrenches. UL Listed and CSA Listed. Designed to splice similar-gauge conductors or reduce the gauge from a larger wire diameter to a smaller one. Galvanic corrosion is limited by an internal wire stop, preventing direct contact of dissimilar metals inside. 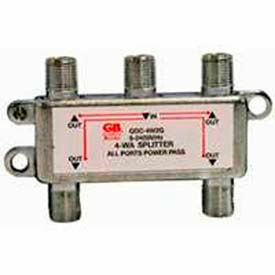 Gardner Bender F Series Connectors Are Designed For Use With RG-6 And RG-6/Quad Cables. Gardner Bender F Series Connectors come in two types for increased versatility. The F-Series Coax Connector, Female Adapter is used to combine two lengths of coaxial cable. Allows for connection of cable through walls. 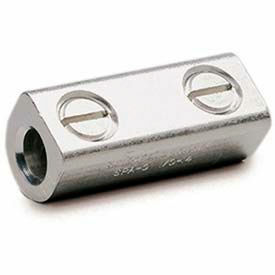 The F-Series Compression Connector is an F-type coaxial connector that is nickel plated to resist corrosion. Choose from packs of 4 or 50. Copper-Alloy Split-Bolt Connectors Are Widely Used For Tap And Wire Splicing On Wire And Copper Weld Conductors. Copper-Alloy Split-Bolt connectors tightly compress and bond separate conductors together to form a solid electrical connection. High-strength copper alloy provides maximum corrosion and crack resistance. True Hex design allows excellent position grip and assured torqueing for easy installation. Connectors are UL Listed and CSA Certified and are RoHS compliant. Wire size and additional dimensions vary per model.